The sickly lender won’t find a buyer unless it carries out a serious spring clean. That means selling at least 1.8 bln euros of dud loans, which looks hard without some government aid. The hit to public finances would be small, but a rescue could still stoke political tensions. 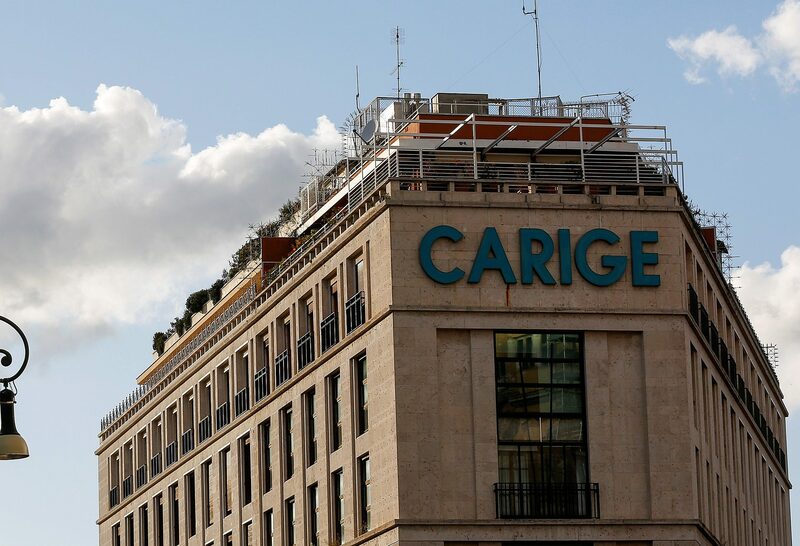 The logo of Carige bank is seen in Rome, Italy, April 9 2016. The Italian Treasury is in talks with Banca Carige to acquire around 3.7 billion euros of soured loans to help clean up the troubled lender’s balance sheet, newspaper Il Messaggero reported on Jan. 4. The European Central Bank put Carige under special administration on Jan. 2 after shareholders failed to approve a 400 million euro cash call.